We have all wanted a pet, so why not have a book for a pet? It just so happens that books make great pets. Until they start doing everything that pets do, like running away. But you have to hear this bright new story by author Bob Staake because it does have a happy ending. Stay after for a book craft. Learning to ride a bike is one of the most important milestones of childhood, and no one captures the emotional ups and downs of the experience better than Chris Raschka, who won the 2012 Caldecott Medal for A Ball for Daisy. In this simple yet emotionally rich "guide," a father takes his daughter through all the steps in the process—from choosing the perfect bicycle to that triumphant first successful ride. Using very few words and lots of expressive pictures, here is a picture book that not only shows kids how to learn to ride, but captures what it feels like to fall . . . get up . . . fall again . . . and finally "by luck, grace, and determination" ride a bicycle! In Bluebird his most beautiful and moving work to date, Bob Staake explores the universal themes of loneliness, bullying, and the importance of friendship. In this emotional picture book, readers will be captivated as they follow the journey of a Bluebird as he develops a friendship with a young boy and ultimately risks his life to save the boy from harm. Both simple and evocative, this timeless and profound story will resonate with readers young and old. 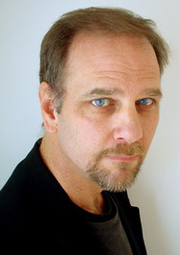 Bob Staake is currently considered a "single author." If one or more works are by a distinct, homonymous authors, go ahead and split the author. Bob Staake is composed of 2 names. You can examine and separate out names.